Mrs. Caroline E. McCarty, age 91, of Glen St. Mary, Florida died Friday, Nov. 30 in the St. Vincent’s Riverside Hospice, Jacksonville, Florida following a long illness. She was born in Port Washington, New York and resided in Sanderson, Florida and Glen St. Mary, Florida since 1983. She was a homemaker and member of the First Baptist Church, Sanderson, Florida. 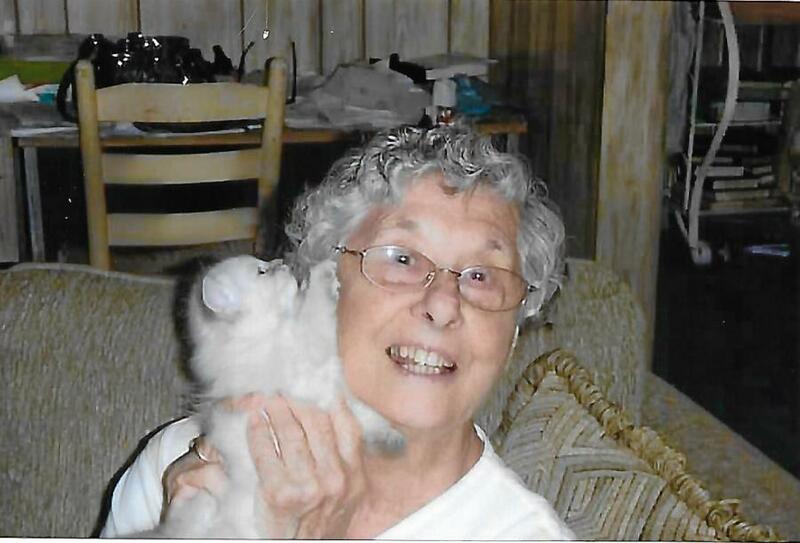 She enjoyed gardening, cross stich, friends at the Senior Center and her cats. She was preceded in death by her parents, William and Bertha Meckel Simpson and her husband, Joseph Beasley McCarty. She is survived by her five children, Linda C. (Andrew) Carter of Macclenny, Florida, Diane (Ralph) Graeber of Lawton, Ok., Larry (Debbie) McCarty of Norman, Ok., Susan Foster of Lander, Wyoming and Laura Hobby of Glen St. Mary, Florida: step-son, Joe G. McCarty of McCallister, Ok.: Numerous grandchild, great-grandchildren and great-great-grandchildren also survive. A funeral service to honor the life of Mrs. McCarty will be held at 10:30 A.M. Friday, Dec. 7, in the Chapel of Guerry Funeral Home with Rev. Roy Vining, Pastor of the First Baptist Church, Sanderson, Fla., officiating. Interment will be in Macedonia Cemetery, Baker County, Florida. Visitation and gathering with the family will be from 9:30 to 10:30 A.M Friday (one hour before services) at GUERRY FUNERL HOME, U.S. 90 east, Macclenny, Florida.